This is one of my favorite ways to cook potatoes. They are a family favorite for sure. 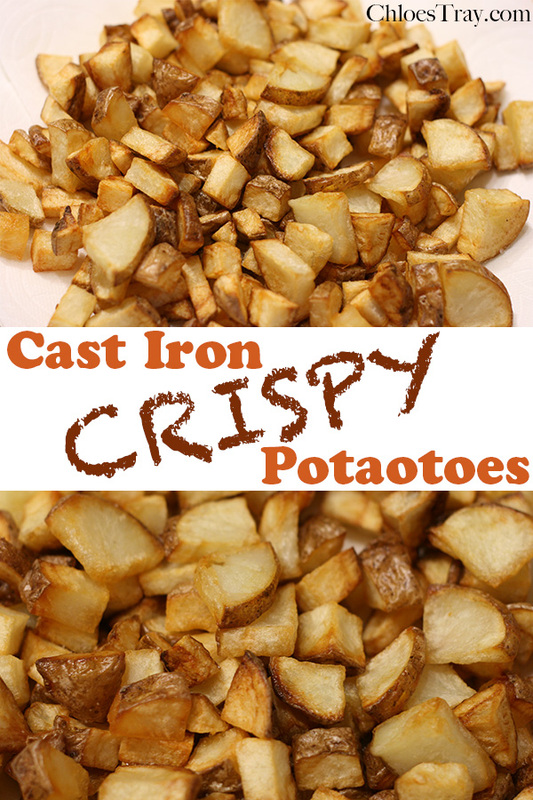 I often make these as a side dish because it’s quick and the kids like them. My cast iron pan fits 2 potatoes chopped to about 1 inch chunks. It’s important not to stack the potatoes so they will crisp up nicely. Also, make sure your oil is very hot before adding the potatoes. Cut potatoes to desired size. The smaller they are, the faster they will cook. Pour enough oil in a cast iron pan to about 1/8 to 1/4 in deep. Heat over medium heat for 5 minutes before adding potatoes. Put one potato piece in to see if the oil is hot enough. 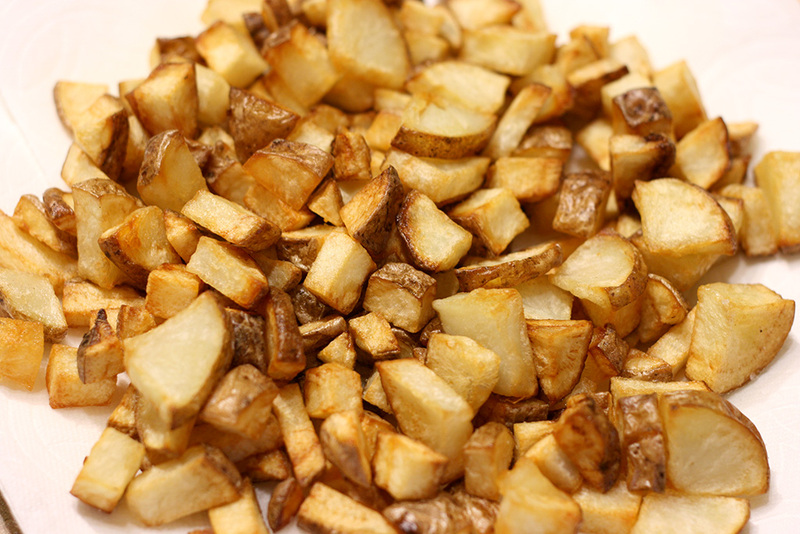 Once hot, add potatoes in one layer. Don’t stack them or they won’t cook nicely. Leave them alone until they start to brown on the bottom. They will move easily when it’s time to flip them. Stir potatoes occasionally and brown to your desired crispiness. Drain on paper towels and season immediately with salt.